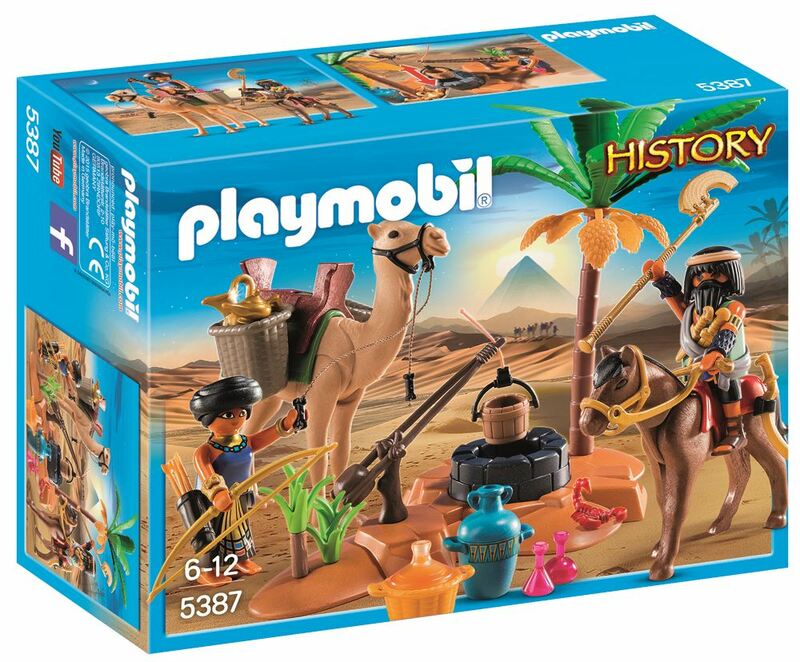 The Playmobil Tomb Raiders' Camp is the perfect spot for potential raiders to plan their next big heist. As the thieves prepare for the day they are able to use the swing arm to hoist up water from the well. Load up the camel with all the ill-gotten gains ready for the next big adventure. Includes: 2 figures, horse, camel and accessories. Part of the History range. Age 4+ years. Distributed in New Zealand by Holdson.